Lakshman Jhula is a bridge over the holy River Ganges at Rishikesh and is made from iron. 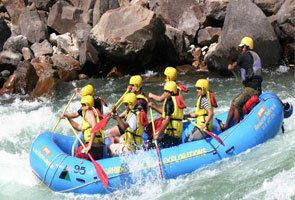 It is a famous tourist destination in Rishikesh and attracts large number of tourists every year. Lakshman Jhula is 450 feet in length and connects to Tehri district and Pauri region. 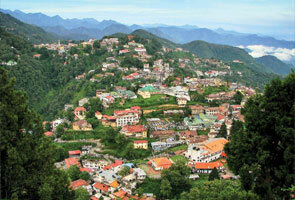 It offer panoramic views to River Ganges and Rishikesh city and have several temples. As per the old stories, Lord Rama’s younger brother, Lakshman crossed the waterway with the help of Jute Rope. Later, in the honor of Lakshman, a bridge of iron was built that with jute rope suspension. In the year 1989, there was around 284 feet long hanging jute rope that was washed away in floods of October 1924. Post that period, a new bridge was constructed in the year 1930. 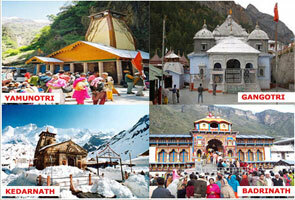 Rishikesh is famous for various temples around Lakshman Jhula. Few of the known temples are Travambakeshwar Temple, Sri Raghunathji’s temple, Lakshman Temple and Sachha Akhileshwar Mahadev Temple. 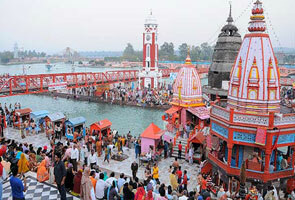 Lakshman Jhula is situated in the Rishikesh district. Tourists can reach here via taxi.